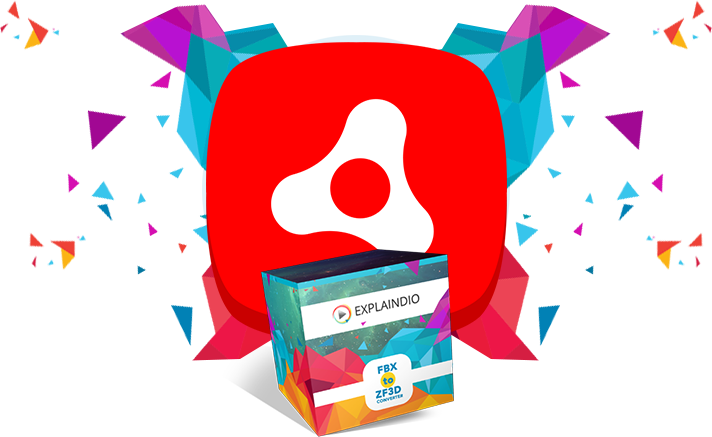 The most popular animated video creation softwares which support both 2D & 3D, like Explaindio, are developed using Adobe Air. While Adobe Air is great and does support full 3D animations, the animation file format is very obscure. The file format I am talking about is called ZF3D. The problem is that there is negligible amount of 3D content available natively in that format outside of 3D assets provided directly by animation software vendors. It means that hundreds of thousands of free 3D models and animation available from websites like archive3d.net, clara.io, and others cannot be used is any Adobe Air software without converting them to that ZF3D format. While working on 3D animation functionality for Explaindio we were trying to find any software which could convert most popular file format called FBX to the format which can be used for Adobe Air 3D. Long story short, we were very surprised that we did not find any conversion software which can convert FBX files into ZF3D files. As soon as we found out about complete lack of conversion software capable of such conversion we immediately saw the opportunity to fill that gap for you. 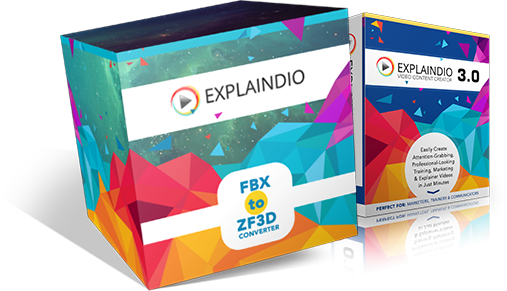 The software you can get on this page allows you to convert the most popular FBX 3D models and animation format into ZF3D format used by most popular 2D & 3D animation software including Explaindio. What does the software give you access to? 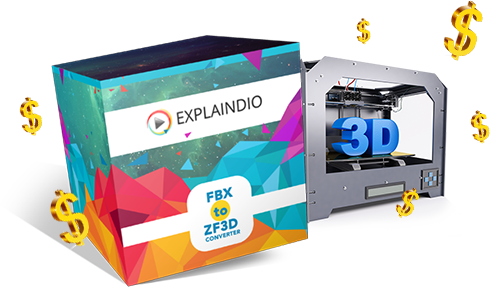 Our FBX to ZF3D converter unlocks your access to the ocean of 3D models and animations so you can use them directly in Explaindio. You can import converted 3D content and create your own 3D animated videos in minutes without having to know anything about 3D or 3D animation. 3D animated video creation is a $40 billion dollar marketplace. 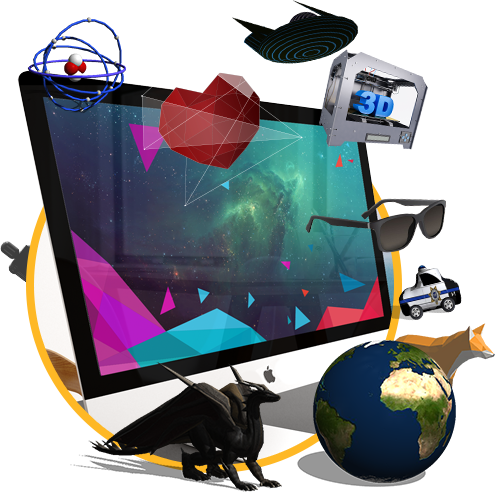 It is worth to mention that 3D animated video creation is a $40 billion dollar marketplace. If you sell videos to clients, this software allows you to have all the 3D models and animations that you need in order to be successful in winning clients and charge massive premium for your 3D videos. So go ahead, add FBX to ZF3D converter to your order, and we will see you inside the member area. No Thank You, I do not need access to 200,000+ free 3D models & animations and to millions of paid ones.